Uttar Pradesh Assembly Elections 2017: Rahul-Akhilesh hit Varanasi roads, Dimple joins. 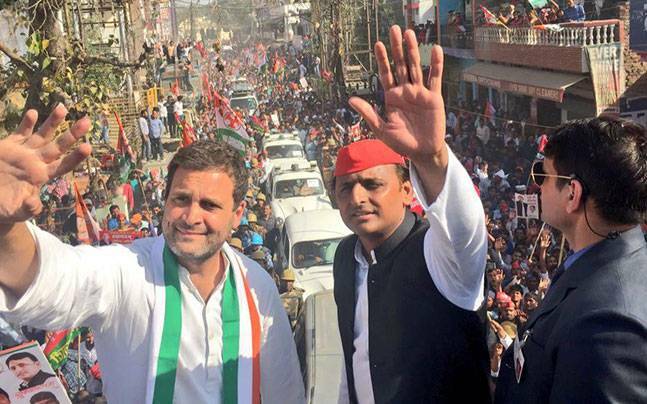 Congress Vice President Rahul Gandhi and Uttar Pradesh Chief Minister Akhilesh Yadav on Saturday took out a road show in Prime Minister Narendra Modi's Lok Sabha constituency of Varanasi. Dimple Yadav joined the rally with her husband.